“Breeding” vines. The farmer’s job in the land of Cartizze. The Follador family “breeds” vines, and for many years now has transformed their fruits into the finest sparkling wines. The name “Follador “ itself evokes the wine-making mission:” folar la ua” (to press the grapes) is the first fundamental step to get the must from the bunch of grapes, that then will mature into wine and sparkling wine. The owners, Renato and Sergio, work following the furrow of the great Valdobbiadene wine-making tradition, in which an had important role first their great-grandfather, then their grandfather and their finally their father Gaetano. During the eighties Gaetano imagined and built the new winery that stands, discreet, on a small turn on the top of the Cartizze hill. It’s a bijou of winery that bears the name of Gaetano: because of his impressive physics and wise good nature he has become an almost mythological figure in Valdobbiadene, earning the nickname of TANO RE ’. (KING TANO). All of the vineyards are owned and are located in Valdobbiadene: they are meticulously tended by Renato and Sergio and, given the orographic complexity of the hilly area right under the mountains, caring for them requires a lot of manual work. The well-proportioned combination of a land unique for mineralogical composition and microclimate, and the experience in producing sparkling wines reaches the excellence in quality in the sparkling wines branded Tanorè. Tanorè works in the delicate Valdobbiadene area, on the borders between the small hamlets of Santo Stefano and San Pietro. This land comprehends hills, small valleys and steep slopes all sheltered on the north side by the Pre-Alps, and bathed in sunshine all year round. The hill that houses the winery is the prized Cartizze, where the best Prosecco in the world grows. Oh yes, of the world: because the Prosecco was born right here, in these hills bouncing between cascades of golden vines, from Valdobbiadene till Conegliano, where the world of the Guaranteed “Superior Prosecco” ends. And the Cartizze is the Prince Hill of this little microcosm composed of 300 ectares of vineyards, because of its extraordinary and unique land that contains in its bowels the history of the world: between 20 and 15 million years ago this area was covered by a deep sea on whose floor stratified sands, clays and limestone levels. The rising of this seabed has brought to the surface these composite rocks that, due to the action of weather, vegetation and microorganisms have been transformed into the shallow sandy soil covering the Regolith (a mixture of sandy soil and rock). The particular characteristics of the Cartizze originate from this soil, rich in elements and history. 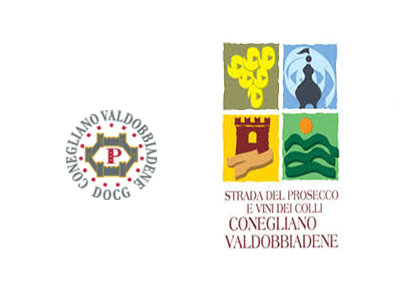 The remaining Tanorè vineyards are all located in the municipality of Valdobbiadene, and due to the great geological variety of the land each of them have different characteristics. Hence the six typologies of Superior Prosecco of Valdobbiadene.